Processors are still willing to take newsprint in the commingle mix. So newspaper is now the only type of paper we accept in our curbside program. 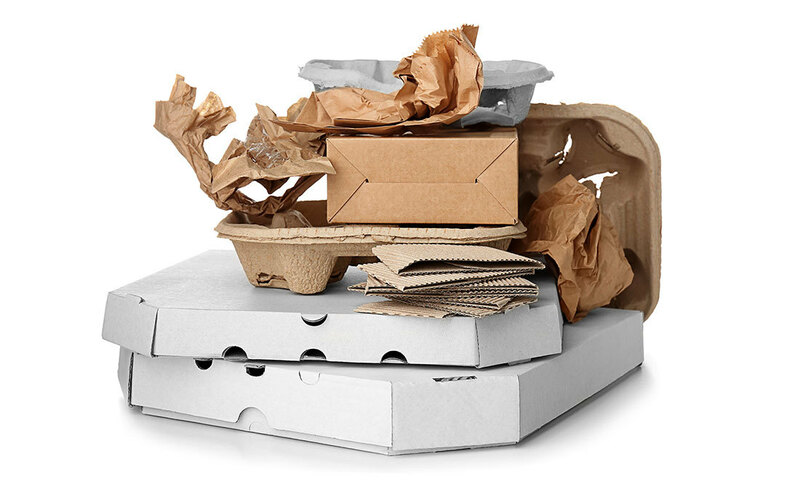 High grade paper does NOT include catalogs, magazines, cereal boxes, shoe boxes, frozen food cartons, paper towel tubes, cracker boxes or any other kind of paper. When commingled recycling goes to a sorting facility, much of the material has to be hand-picked by workers. The material on a conveyor belt speeds past the sorters at a rate of 20 pounds of material per second. In order to sort the paper without contamination, sorting facilities have slowed the belts down and added more workers. But even then, they have been unable to meet the exceedingly stringent new contamination limits that would allow the paper to be recycled. This is the reason we cannot accept it with other materials.